The film was announced in 2011 and will have John Wick 3 Parabellum actor Taron Egerton (Kingsman) as the protagonist. In 2011, it was announced that there would be “a spectacular musical The Nursery film that tells the story of a child prodigy who became a music legend”. 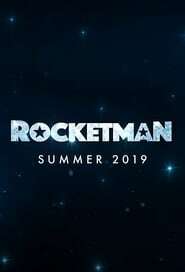 With a script by Lee Hall (Billy Elliot) and Taron Egerton (Kingsman) as West of Hell the protagonist, the film Rocketman already has a release date.